In a carafe or pitcher combine the tequila, Cointreau, lime juice, Jamaica and sugar. Stir until the sugar is dissolved. Refrigerate if not serving within a few minutes. Set out a bucket full of ice and glasses (the drinks are strong, so I suggest serving them in 6-ounce martini glasses). Slice the lime into rounds (you'll need 1 for each glass), then make a cut through each slice from the center through one spot on the rind, so that you'll be able to impale a lime round on the side of each glass as garnish. Scoop lime slices into a small serving bowl. 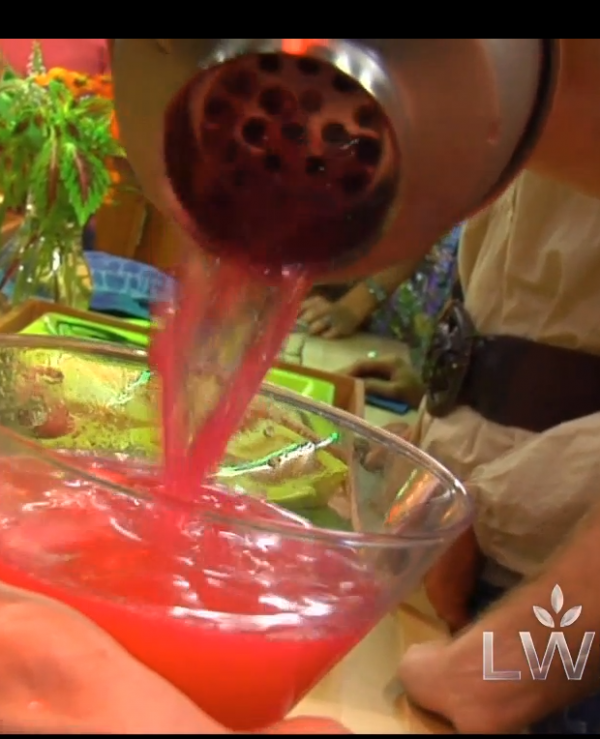 When you're ready to serve, fill a cocktail shaker about half full of ice, measure in about 1/2 cup of the cosmo mixture, then cover and shake vigorously for about 15 seconds to chill the drink and dissolve enough ice to bring the flavors into balance. Strain into one of the glasses and hand off to a lucky guest. what is the Jamaica? A food item and alcohol? ?